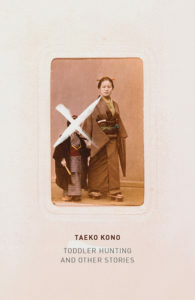 In the second half of the 20th century, the major Japanese feminist writer, Taeko Kono, produced psychologically acute and hauntingly precise stories of women struggling within the confines of domesticity. Despite her prominence in Japanese letters, she has been rarely translated into English. In Toddler Hunting and Other Stories, translators Lucy North and Lucy Lower have made available a collection of work of impressive range and urgency. Kono’s narrators are often searching for some sense of agency within worlds that seek to constrain or even annihilate them. They are figures perched on the edge before an abyss and must either withdraw or commit to the plunge. The typical Kono character is a middle-aged woman who finds herself in familial relationships in which she has either become unexpectedly intimate or estranged. In “Snow,” a daughter reconsiders the authenticity of her relationship after her adoptive mother’s death. In “Theater,” a wife, feeling neglected by a distant husband, works herself into a strange couple’s household after she meets them at the opera. In “Final Moments,” a wife, deliberating suicide, realizes her marriage has never acquired the honest intimacy of a husband and wife but has remained a protracted affair between two provisional lovers cohabiting the same house. These stories describe arcs in which the narrators recognize difficult truths that have been repressed or concealed by hostile circumstances. In “Ants Swarm,” both husband and wife, Matsuda and Fumiko, believe they are in perfect agreement when they both claim to not want children. When the wife notices her period has been delayed, she starts to perceive a transformation in her husband’s spirits. They both seriously consider the possibility of an abortion. But Matsuda quickly reveals himself to be more accepting of a child than she previously suspected. The idea of a child wedges the husband and wife apart and produces a sense of estrangement between them. Fumiko not only believes that she has misunderstood her husband but also that she has been deceived by him in the years prior. Kono, who is very keen on unwrapping the layers of self-delusion, describes Fumiko’s realization of her husband’s transformation: “Matsuda’s announcement that he wanted a child shocked her: so, she thought, despite all their promises, he had secretly started to want one. Seeing him excited about being a parent made her feel deceived and jealous—contemptuous, too, when she recalled how boyish he was.” In this mapping of Fumiko’s convoluted psychology, it is difficult to point out the perpetrator in her relationship. In these stories, the woman narrator is always adrift in her relationships and must somehow define her coordinates in relation to a partner or intimate. Is Fumiko’s criticism of Matsuda actually a veiled self-criticism of herself? Has Matsuda been deceptive, has Fumiko simply been ignorant, or perhaps a combination of both? For Kono, deception is often wedded to self-deception, so that the party who seems innocent just as easily seems guilty with a slightly altered lens. The narrators’ encounters with children are often highly transformative in nature. Children tend to be highly innocent, inquisitive, and for the most part, acquiescent. They are minor characters that occupy large, looming symbolic or metaphorical roles. They tend to complicate the narratives by unleashing in the protagonists hidden urges and desires. Essentially, children illuminate parts of other characters’ mental landscapes that were kept in the dark. In the title story, “Toddler Hunting,” Akiko is a middle-aged woman who cannot give birth due to her weak constitution. The focus of the story is her odd fondness for little boys between the ages of three and ten years old. One of her habits is to buy clothes for the boys of other mothers and watch them dress and undress. Akiko’s obsession is certainly Humbertesque in that she finds pleasure, often of a sexual nature, when intimately playing with young boys. She describes her interactions with boys as a return to innocence, a state of dreaming in which she is released from the obligations of adulthood: “Little boys inhabited such an infinitely wholesome world—Akiko always had the impression that it restored and purified her. Its simplicity was so all-encompassing that anything out of the ordinary about her could pass without notice there. Little boys went along with her in her games—sometimes they almost seemed to egg her on.” The women of Kono’s stories often desire the innocence and simplicity of childhood while rejecting the societal expectation of becoming mothers. During the course of her obsession, when Akiko reflects on the fact that her body can no longer sustain a child, she feels something close to elation. She finds that she no longer harbors any desire for maternal love and no longer wishes to have a child. Her sterility seems to free rather than to constrain her. Ironically, her damaged body liberates her from the burden of motherhood. Hayako is one of the most extreme examples of self-dissolution in the collection. When confronted with her adoptive mother’s death, she senses the possibility of extinguishing her symptoms permanently. The story focuses on her attempt at recovery through her braving deeper and deeper into a snowstorm despite the exacerbation of her symptoms. In a sense, Hayako seeks to transcend the limitations of the body. Her masochistic method is to place the body under the same extreme conditions that have aggravated her symptoms. She re-enacts the past trauma to release herself from its grip. Her process is rather like purification by fire. Her freeing herself from her illness is metaphorically a freeing of the self from her assumed identity. The implication is that the mind cannot be liberated if the body is imprisoned. Like the other characters in this collection, Hayako approaches transcendence by directly reckoning with the demons that hold her captive rather than retreating from them. Self-dissolution also occurs when characters become so completely assimilated into certain social arrangements that they fade into invisibility and become transformed into members of other households. In “Theater,” Hideko, contending with the loneliness of living apart from her husband, becomes a frequent visitor to another couple’s house. The couple is composed of literally a beauty and a beast—a brusque, hunchbacked man, Ken, and a beautiful, submissive housewife, Haru. Hideko becomes jealous of their tender intimacy, which stands in contrast to her own cold, unfeeling marriage. The narrative describes her as living in the estranged state of a divorcee. In her visits to the couple, she observes that Haru seems to enjoy being teased and coyly bullied by her husband. But Kono suggests that the couple is merely performing the roles of a domineering husband and a subservient wife. The title of the story is fitting because the couple constantly indulges in theater as a means of generating pleasure and intimacy. Ironically, when Hideko is in the presence of the couple, she feels they are more genuine than anyone she has met before. She does not feel a sense of inauthenticity about them partly because she has been chosen to play a part in their performance. She becomes one of the actors and starts living in a fantasy. Kono describes Hideko’s acceptance into the household as akin to her acquiring a role in a play: “Soon they asked, even demanded, that Hideko participate; and they were glad to let her share in the pleasure that accrued. Yes, as far as dispensing pleasure was concerned, this fascinating couple certainly had a rare talent. The beauty was usually the one to direct the performance—either because of some unspoken agreement or a natural inclination on her part—and Hideko complied without a second thought.” At the same time, Hideko entertains fantasies with her husband, some of which involve her being sexually dominated. Her yearning for a role in the couple’s household reflects her unfulfilled desire for conjugal intimacy. Her performance as a wife in another house is only a reprieve and a reverie from real life but nevertheless an act of quiet subversion against her neglectful husband. She may no longer be a beloved wife but in the couple’s home, at least she can delude herself into being one for a little while. Though Kono is absorbed with domestic life, she pushes the conventional limits of realism by exposing the ways in which the rules of domesticity are artificial, provisional, or self-imposed. The collection is intelligently attentive to the ways that women subvert those rules without completely abandoning them. In a sense, Kono’s women have all been acting in roles that have been self-denying and subservient. And it is through the transformation of those roles that they free themselves from unhappiness and acquire independence in their domestic lives. Darren Huang is a writer based in Manhattan.